Generally, when you want to discuss an event but you are not equipped with very many facts, you are left with two choices: you can either ground your conversation in the solid realm of reality — thereby rendering the discussion more honest but less entertaining — or you can use the few bits of actual information as a launching pad to construct a wild and captivating fairy tale. It’s no surprise that the media generally chooses the latter. Never has that been more evident or pronounced than with the story of the missing Malaysian Airlines Flight. Everything must be a crisis. Every weather pattern must be an impending disaster. Our lives must always be hanging in the balance. Every commercial break must be preceded by a tantalizing tease that will keep us on the edge of our seats while we soak up a succession of targeted advertisements, awaiting the next news item that will surely give us some fancy new thing to fear, or hate, or be distracted by, or babble about on social media. I get it. This is the era of news and entertainment — newstainment — and this is how it works. But I don’t think I’ve ever been quite as disgusted as I am now, while I watch these cable news channels and online publications turn the likely death of some 280 people into a Tom Clancy novel. It’s embarrassing. It’s gross. It’s almost sociopathic. I’ll say this about the news of the “vanished” airline: it’s a big story. It’s relevant. It has to do with the fate of hundreds of people. There is no question that this is one of the most confounding aviation mysteries since Amelia Earhart. It deserves to be covered by the news. Yet you watch these channels, and what do you find? Spiffy computer graphics and eerie theme music set as the backdrop to unfounded speculation and fantastic assumptions. On CNN, the title of their movie news reports is “The Mystery of Flight 370.” The anchors stand in front of a 3-dimensional map of south east Asia as they rehash the same bits of actual information, followed by an array of “theories.” To augment their wall-to-wall coverage of a story that only includes a handful of verifiable facts, they reach into their bag of toys and tricks and pull out model airplanes and flight simulators. CNN is so desperate to keep the story going, that they’ve been reduced to wondering aloud about “supernatural” explanations. They’ve even staged demonstrations on how to disable a Boeing 777’s transponders. Hey, if this wasn’t a terrorist plot, maybe now it will be. Thanks, American media. Their speculations and guesses have quickly been cemented into the public conscience. We’ve reached a point where the “terrorist took over the plane/pilot hijacked plane himself, landed it at secret location, and now he/they/whoever are planning on repurposing at as a giant (probably nuclear) bomb” theory has become the leading explanation amongst desperate talking heads and astute social media detectives. Without committing the sin of sensationalism myself, I believe I can accurately label this a new low point for a media that long ago reached the basement of integrity and journalistic ethics, pulled out a shovel, and started digging. Look, we have to say it’s possible that the pilot or terrorists or the pilot and terrorists commandeered the plane, took it to a top secret location, and now intend to pack it with explosives and slam it into a Chinese/Israeli/Australian/American city. We don’t know anything for sure, so, as we are constantly reminded, anything and everything remains on the table. But why are we sifting through the piles of theories on that proverbial table and giving so much attention to the most outlandish and remarkable ones? The answer to that is as obvious as it is depressing: the media likes the astounding and scandalous explanations because they drive ratings. The public likes them because they are — as nauseating as it is to say this — exciting. How else can you explain the near ubiquitous assumption that the disappearance of this plane was the result of the most unnecessarily complex terror plot in the history of mankind? Yes, it’s possible. But, out of all the answers to this riddle, how likely is it that some country or organization or individual has the resources and know-how to kidnap an entire airplane, fly it undetected through one of the most hostile and heavily monitored regions of the world to a secret location, re-purpose it as a giant bomb, and then use it to attack their enemies? And, if this country or organization or rogue group or rogue individual can pull this off, wouldn’t they/he/she/whoever have the intelligence to think of a MUCH more direct and efficient way to set off a devastating explosion in the city of their choice? But I shouldn’t be arguing against a theory that has no justifiable reason to exist in the first place. 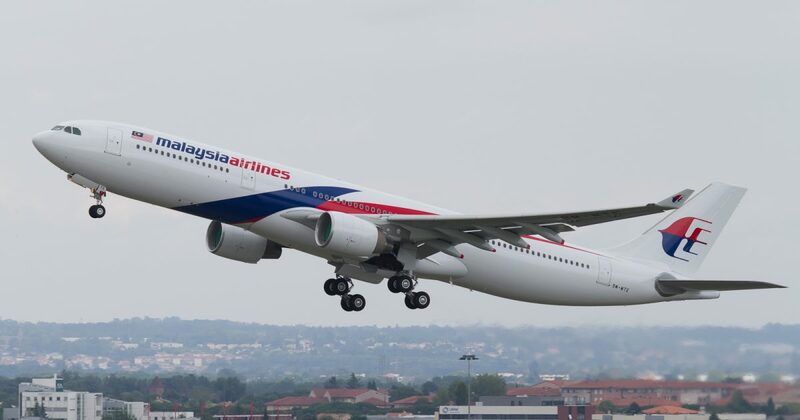 The flight took off from Kuala Lumpur a little after midnight on March 8, carrying 239 people, in route for Beijing. At 1AM, the plane sent its last automated message via something called the Aircraft Communications Addressing and Reporting System. At some point around that time, someone in the cockpit said “alright, goodnight” to air traffic control. Less than an hour into the flight, the plane’s transponder stopped transmitting. About 90 minutes after take off, military radar picked up the craft over the Strait of Malacca. Some 6 hours later, a satellite detected the last signal from the aircraft, which indicated that it was somewhere roughly between Kazakhstan and deep south into the Indian Ocean — which is sort of like a convict escaping from prison and the FBI issuing a warning that the criminal is “probably” somewhere “between California and Delaware.” Only this is even more broad, because the plane could be buried under thousands of feet of ocean water, which would mean that we might never find it. All of the other details — including the pilot’s political leanings, his flight simulator, and his “Democracy is Dead” t-shirt, as well as the Iranian passengers and the stolen passports — are, as far as we’re aware, irrelevant. To extrapolate anything from any of these extraneous facts would be reckless and misleading. But it makes the whole story more interesting, so the media won’t be stopped. What happens if we find the wreckage out there in the blue abyss of the Indian Ocean and an actual investigation of physical evidence confirms that this was all an accident? What if those pilots did everything they could to save the lives of everyone board? What if the media has been engaging in the aggressive character assassination of a man who died trying to save 239 people from a tragic fate? What if the most plausible theory — an electrical fire — is also the correct theory? It isn’t as fascinating as a complicated terror plot, or pilot sabotage, or needlessly complicated pilot suicide mission, or alien abduction, or supernatural interference, or remote hijacking via cell phone, or meteor strike, yet it is certainly the most realistic. Viewers want intrigue. They want conspiracy. They want drama. And that’s what the media delivers. Meanwhile, 239 people are probably dead. Hundreds of families have been torn apart. Amidst the speculation and the sensationalism, real people have suffered a real loss. But at least CNN got a ratings boost out of it.